New results of a gigantic study testing how well the Apple Watch detects important heart-rhythm changes offer a tantalizing glimpse of how consumer devices might change medicine and lead to new ways to conduct science — but little more. Unfortunately, the data don’t tell us much about whether anyone should buy an Apple Watch, or whether the device is good for the population at large. “At least it is not an epidemic of false alarms,” said Dr. Eric Topol, director and founder of the Scripps Research Translational Institute. The Apple Heart Study is being released at the annual meeting of the American College of Cardiology here. Full results will be presented before thousands of doctors at the opening of the convention Saturday morning. STAT was given a press release in advance containing some data from the study, which was shared with the researchers who commented for this story. The study recruited 419,297 people who had an Apple Watch. It tested technology in the watch that uses an optical sensor to detect the wearer’s pulse. Of the cohort, 0.5 percent — or 2,161 people — were notified that they might have atrial fibrillation, a relatively common arrhythmia that can lead to feelings of weakness and increases the risk of stroke and other conditions. “The technology has arrived. I am not one of those cardiologists that are blaming Apple for giving us too much information,” said Dr. Rajat Deo, an associate professor of medicine at the University of Pennsylvania. It’s doctor’s job, he said, to figure out how to use this information. He said that 84 percent rate was low enough to be “concerning,” but he expects it to improve over time. The study, therefore, represents a promise of what might be — but it is not yet a device doctors should trust on its own. And the unknowns could be expensive. “How much money is it going to cost the health care system to follow up on thousands of patients who have an incidental atrial fibrillation?” Nissen asked. This study doesn’t provide an answer, but it is not an idle question: Millions of watches have been sold. And treatments given to patients with atrial fibrillation are not without risk. If the 84 percent concurrence rate holds and the population in the study is similar to that of Apple Watch buyers (that is a very big “if”), one would expect that for every 400,000 watch buyers, there would be roughly 2,000 people notified they have atrial fibrillation. Of those, 1,600 would have atrial fibrillation, and 400 would not. “If we had everybody go to CVS or Walgreens and get a blood pressure check, we’d probably save a lot more lives and it would cost a lot less money,” said Dr. Wilber Su, chief of cardiac electrophysiology at Banner Health in Phoenix. 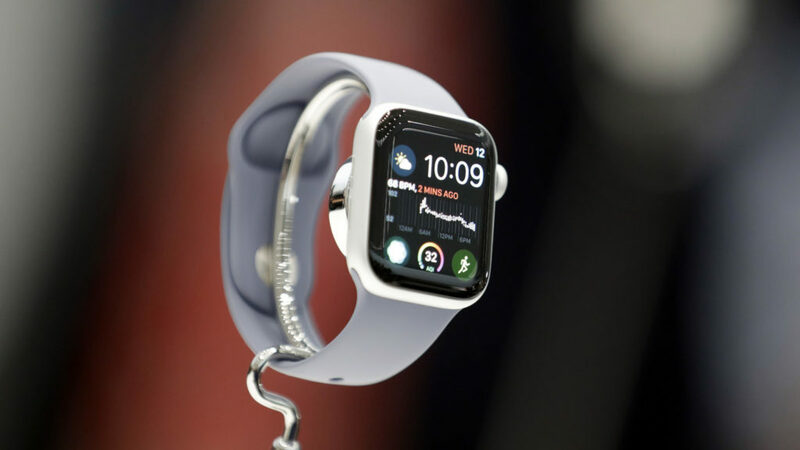 Su said he’s seen about a hundred patients who have come to him after getting a scary result from the Apple Watch, but he doesn’t remember any of them needing a major intervention. He could foresee using the watch to track some patients who have received treatment for atrial fibrillation. But for many experts, the study isn’t really about whether the Apple Watch can have an impact on public health now. It’s about embarking on an entirely new way of doing clinical research and practicing medicine someday. Dr. Jordan Safirstein, an interventional cardiologist at Morristown Medical Center, said the result was “amazing,” not because of the results, but because researchers were able to recruit a staggering 419,000 patients in a very short period of time, and follow up on them only with telemedicine. “It’s a lovely demonstration of how we can enroll patients completely virtually, which I think is a huge extension for us in terms of patient engagement and enrollment,” Safirstein said. Dr. Mintu Turakhia, one of the Stanford University researchers who designed and conducted the study with Apple, said this was one of the major points of the study: not to reach an immediate conclusion on the Apple Watch — even there, follow-up data on exactly how patients were treated will be needed — but to learn how to use wearable devices in medical research. “We’ve enrolled 400,000 people in just over eight months,” Turakhia said. He hopes that what they learned will allow them to do more ambitious studies in the future. Consumer-facing technologies, Minor argued, could change medicine just as they have changed every other aspect of our lives. But that still doesn’t tell you whether it’s a good idea to buy an Apple Watch.